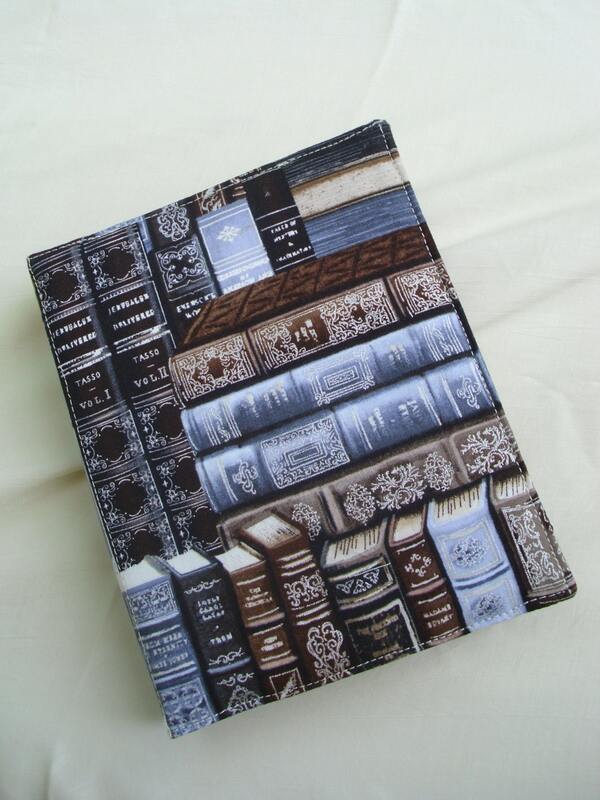 Handmade small E-Reader Cover created from fabric with a silver and brown Book print. 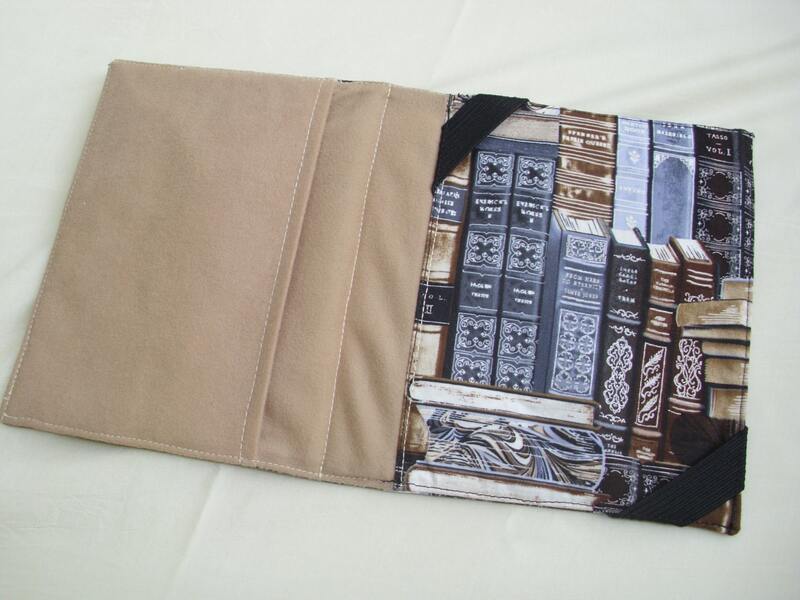 Black elastic in 2 corners will hold your e-reader in place. The lining inside, of tan micro fiber type fabric, is also a pocket to hold extra stuff. The front and back are reinforced with plastic canvas inside to keep the cover sturdy. Holds 5" x 6 1/2" e-reader. Closed: 5 1/2" x 7"